Although early clinical data are vital for product registration, they may not be sufficient to support post registration strategic and commercial objectives. There is a growing need for well conducted post-marketing studies to collect effectiveness and health outcomes data to support these objectives. AusTrials conducts observational research on a national dataset of non-identifiable electronic health records of some 10 million annual episodes of care for some 2 million patients. 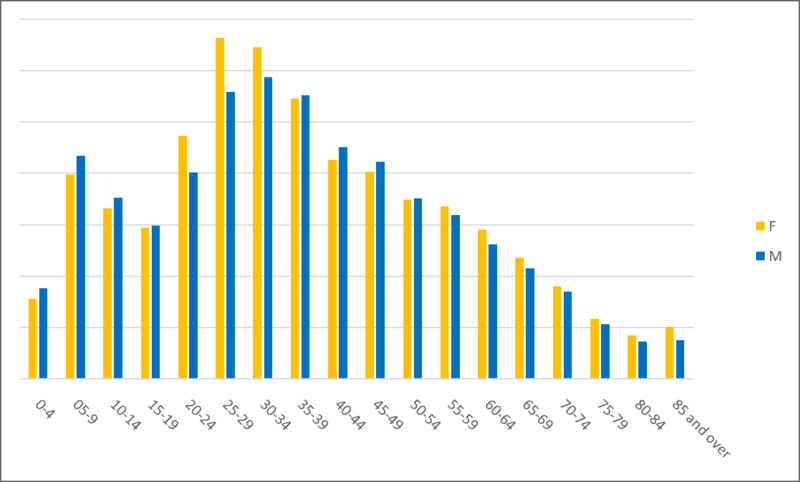 This chart shows the age and gender distribution of records for observational research. 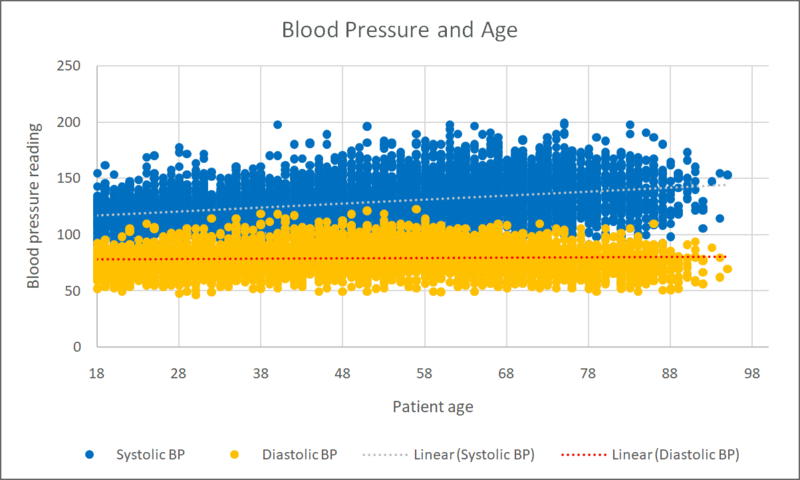 Here is an example of the data – showing for a random selection of patients how blood pressure varies with age in adults, which can also be analysed by drug regimen, BMI, comorbidities, etc. AusTrials can conduct full statistical analyses of the data and produce evaluations of safety and efficacy markers in the usual clinical setting. For example, an analysis of treatment for type 2 diabetes showed a significant reduction in HbA1c 6 months following initiation with therapy.